On Tuesday, we told you that Apple had reportedly initiated a second round of production cuts for the iPhone XS, iPhone XS Max and the iPhone XR. Some of the companies in Apple's supply chain are said to be negatively impacted, like iPhone camera lens supplier Largan Precision. A report from Digitimes says that Largan now expects its November revenue figure will drop below October's top line number. Career Technologies, which provides flexible printed circuit boards for iPhone models, recently laid off 110 workers directly due to order cuts from Apple. 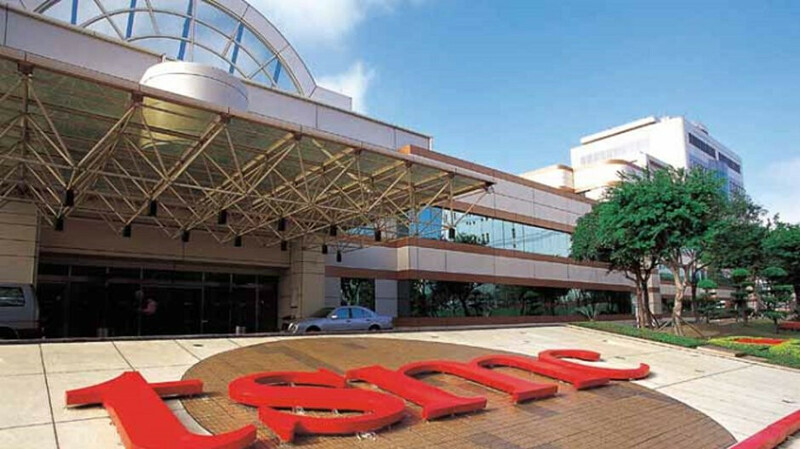 One company that continues to be busy despite Apple's order cuts is chip maker TSMC. The latter manufacturers the Apple designed A12 Bionic SoC and any order cuts involving the 2018 iPhone models would directly have a negative effect on TSMC. While TSMC could see its shipments of A12 chips decline each quarter, its 7nm process capacity is pretty much booked up. For example, right now TSMC is shipping the 7nm Kirin 980 chipset to Huawei for the Mate 20 line. In the first quarter of 2019, TSMC will be busy mass producing the 7nm Qualcomm's Snapdragon 8150 Mobile Platform. This is the chip that could be seen in the U.S. version of the Samsung Galaxy S10 and Galaxy S10+. And TSMC has booked orders with Broadcom, Xilinx and Nvidia for chips produced with the 7nm process. Tuesday's report says that TSMC expects to tape-out more than 100 7nm and 7nm EUV (Extreme Ultraviolet Lithography) processors in 2019. 7nm chips are expected to make up 20% of TSMC's business next year as opposed to 10% this year. Meanwhile, one of the contract manufacturers that Apple hires to assemble the iPhone, has used the cutback in orders to cut its workforce. This way, the company can reduce its expenses to match the lower revenue it will now receive from Apple. TSMC is too Buys or Busy? A lesson for some not to solely depend on Apple. So some of these components suppliers better start getting cosy with Android OEMs. TSMC and Samsung saved themselves by not being too dependent on Apple. Samsung is gonna hurt too, because they are providing most of the displays for the 2 models. But at least they can recoup some by other means. Others can't and that makes Samsung better. OLED displays are in high demand right now, so Samsung as one of maybe 3 parties that can deliver high quality and high volume OLED displays won't lose much business. Besides their contract with Apple will have Apple paying regardless (financial penalties for not meeting their contractual obligations) and any business they can attract to fill the gaps by reduced production for Apple will make them more money. According to news reports Apple is under contract to pay Samsung for the orders it placed for the displays regardless if they sell or not. in fact it has been reported that Apple will not only restart the iPhone 8 but also the iPhone X production lines in order to meet the its contractual obligation to Samsung.